Posh pays homage to executive seating of the past, when chairs were handcrafted pieces of fine furniture, not plastic appliances. Sculpted with lavish curves for both support and comfort, Posh is upholstered twice, once with soft Dacron batting and then finished with a finely crafted cover, richly detailed with French seams and boxed panels. With an eye to the future, Posh's aluminum arms and bases, as well as the zip-off upholstery, means that Posh will be easy on the environment as well. Rigid Steel Frame: Posh seating starts with a rigid, steel tube frame, tig welded and reinforced for additinoal strength. This rugged chassis ensures the durability of all Posh seating. PressureCast Foam: Thick, supple, high density foam is molded around the frame for maximum support and comfort. Zip-off Upholstery: Posh's zip-off upholstery construction allows easy replacement of damaged upholstery and greatly enhances the chair's recyclability. Superb Detailing: Upholstery detailing is exquisite with a traditional taped French seam. Flexible Urethane Armrests:The flexible, mar-proof, urethane armrest insets take the abuse if you pivot or roll into adjacent furniture. 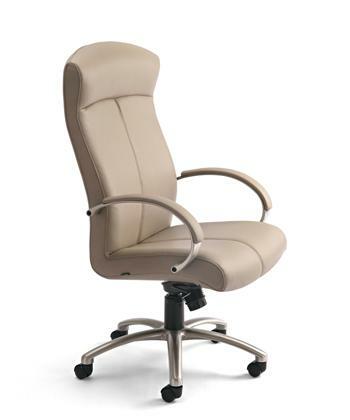 I would like to receive pricing for the following item: Sitmatic Posh Executive Chair.